Unique Gavin Two-Toned Rainbow Stand-out! 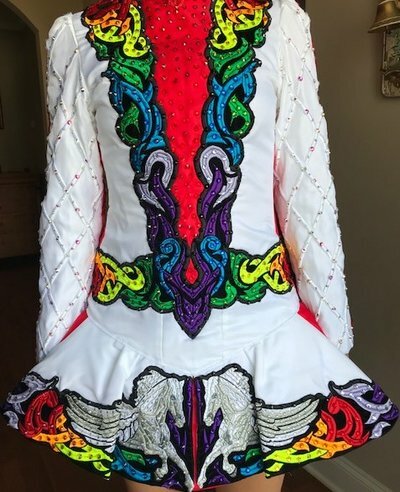 Worn by a 5′5″ 16 yo dancer. Plenty of letout and letdown. We are in N.C.
White with rainbow and gemmed Pegasus design! Two-toned red and white. Pristine condition. This dress is crystalled to the max, including the Pegasus with hundreds of tiny crystals! It just glimmers on stage and has received numerous comments since it is so unique! 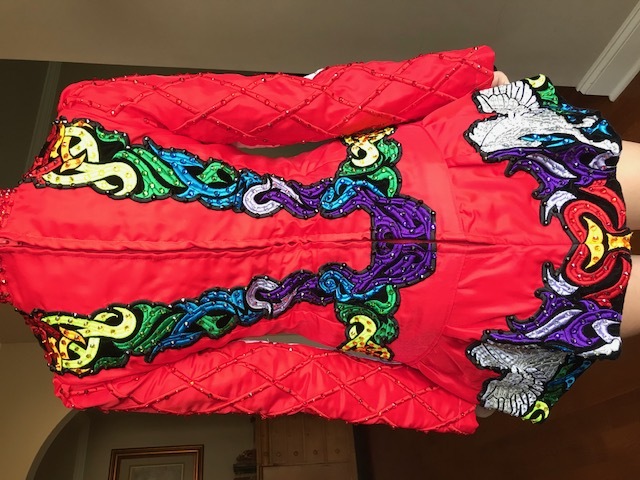 Made for my dancer, cost over $2k new. 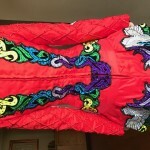 I can send other measurements too as well as pics with measuring tape on dress. Just let me know. There is plenty of letdown and letout!